Here’s a quick and easy recipe perfect for summer days. It can be an appetizer or paired with zucchini noodles, spaghetti squash or sweet potatoes for a complete meal. 1.5 lbs shrimp peeled and deveined. Preheat oven to 425. 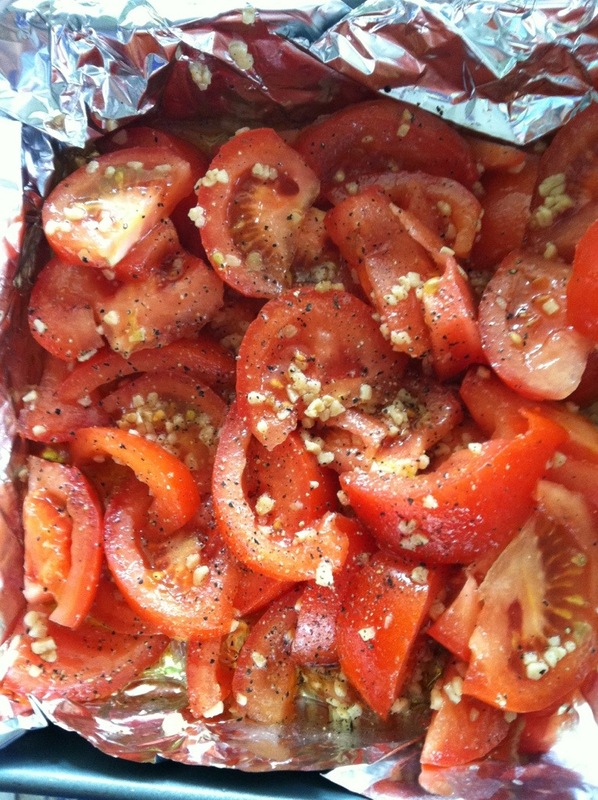 Place chopped tomatoes in baking dish. Add olive oil, garlic and pepper, toss. Bake for 20 mins on top rack. 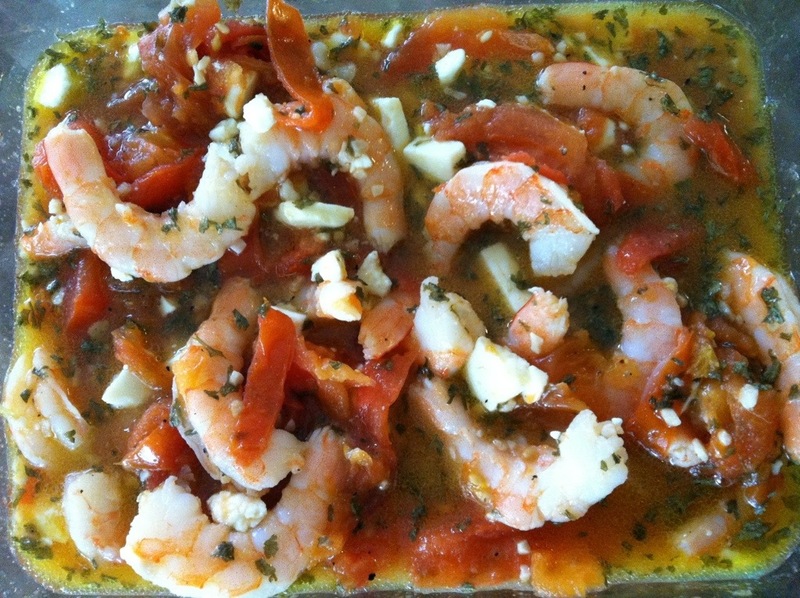 Take out and toss in shrimp, lemon juice, parsley and feta cheese. I bought cooked shrimp so the dish was ready to serve. If you get uncooked shrimp, place back in oven for another 15-20 mins or until shrimp are fully cooked.